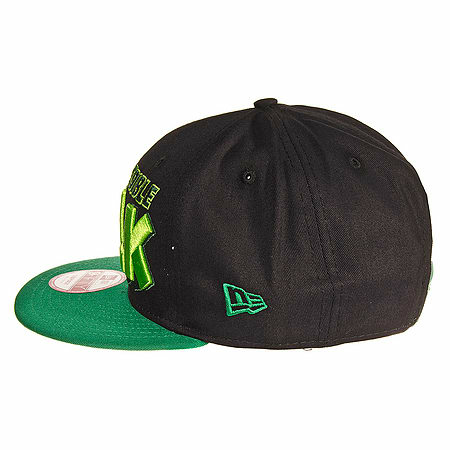 If you're a fan of classic superhero The Hulk, and the action-packed world of Marvel Comics, you might want to display it on your head with this official cap. The heroes unique powers of occasionally turning into a giant green rage monster have helped him in his struggles against such notorious criminals as Absorbing Man and Abomination. The name of Bruce Banners Hyde-like companion occupies the front of the stylish black and green design. Never-ending in his quest to smash villainy into the ground, The Hulk is surely deserving of your cap-based support. 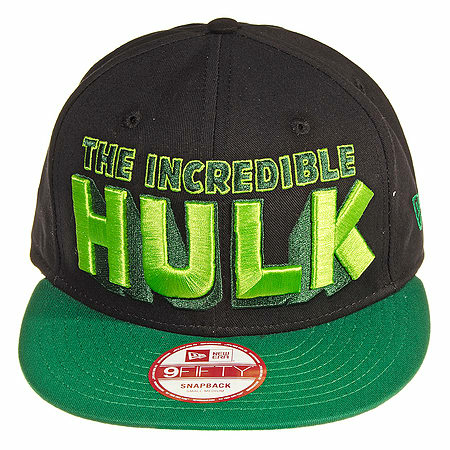 Set yourself apart from the other superhero caps with this New Era Incredible Hulk Snapback Hat!